Telangana Election Results: Exit polls had predicted a win for K Chandrashekar Rao but the victory margin was smaller. Telangana Rashtra Samithi is leading in 82 of the state's 119 seats. Telangana Assembly Election Results: KCR's Telangana Rashtra Samithi is leading in 82 of the 119 seats. K Chandrashekar Rao's move to dissolve the Telangana assembly paid off handsomely as his Telangana Rashtra Samithi established a huge win over the Congress-Chandrababu Naidu alliance in the Telangana assembly elections on Tuesday. The party won 88 of the state's 119 seats, the Congress-TDP alliance got 19. The BJP won one seat. For the Congress and Mr Naidu, the setback in the state will have ramifications for their efforts to forge a united opposition. Mr Naidu has taken on the task of forging a united front for which, a huge 21-party meeting was held in Delhi on Monday. Exit polls had predicted a win for KCR, as Mr Rao is popularly known. But the victory margin was smaller. The counting was preceded by high drama In the state. 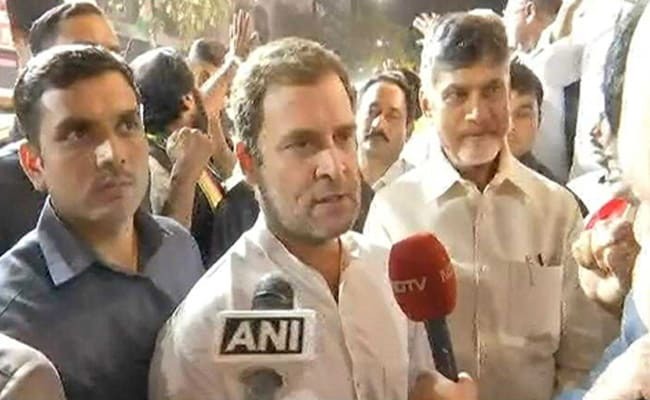 On Monday, despite the exit poll predictions, the Congress and Mr Naidu's Telugu Desam Party had met Governor EL Narasimhan and requested that in case of a split verdict, they be given the first chance to form government. The state BJP, which had bitterly criticized KCR and his party during the election campaign, hinted that they were open to backing the TRS if it distances itself from the AIMIM. But it was shot down by the party. State BJP leader K Laxman, who made the unauthorized offer, was severely reprimanded by his party. For the Congress and Chandrababu Naidu, a setback in Telangana will have ramifications for their efforts to forge a united opposition. Congress leader Hanumantha Rao said they were open ally with AIMIM, but Asaduddin Owaisi ruled it out. Mr Owaisi said the TRS would win the election on its own and had a three-hour meeting with Mr Rao later in the afternoon. News agency Press Trust of India reported that TRS minister T Harish Rao, was leading in Siddipet by 13,040 votes over his nearest TJS rival Bhavani Reddy after the completion of the third round. In Zaheerabad, TRS nominee Manik Rao was leading by 738 votes after the first round. Elections for the 119-member state assembly were held on December 7.